China's economy will maintain resilience and progress partly due to further opening up, a stronger domestic market and booming high-tech industries, a senior official has said. Ning Jizhe, deputy director of the National Development and Reform Commission, made the remarks in his article published in the latest issue of Secretary Work, a periodical under the supervision of the General Office of the CPC Central Committee. China's economic development over the past 40 years was made possible due to, among other things, the incremental opening up of the economy. Despite a drastic decline in global cross-border investment in 2018, China's actual use of foreign capital hit 134.97 billion U.S. dollars, up 3 percent from a year earlier. China has signed 17 free trade agreements with 25 countries and regions, with another 13 agreements under negotiations. Robust domestic demand has become a key driver of the Chinese economy or even the global economy at large. China managed to grow at an annual speed of 6.6 percent last year, with consumption contributing over 76 percent to its growth. Chinese consumption has become increasingly important for its trade partners. China was the world's second-biggest importer after the United States between 2012 to 2017, and has become the biggest trade partner of over 120 countries and regions. Ning expects China's domestic consumption to be further unleashed owing to rising household incomes, better consumption environment and improved product quality, which will help ensure China's economy stay on track. The country is also becoming an increasingly important global player in the innovation economy. R&D investment accounted for 21.5 percent of China's gross domestic product in 2017, and China has taken the global lead in the number of research and development personnel employed within the country. China has become one of the regions to witness fast development of high-tech industries. 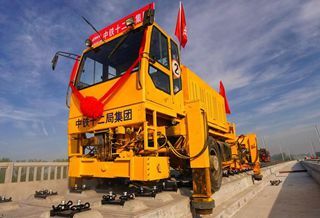 Last year, output of new energy vehicles, fiber optics and smart televisions surged 40.1 percent, 23 percent and 18.7 percent respectively, year on year. An increase in innovation is also tied to an increase in patent application filings within China. In fact, China had been the top nation for patent application filings for seven consecutive years by the end of 2017. Looking ahead, Ning stressed that China should seize strategic opportunities to maintain high-quality economic development. To fulfil the target, efforts should be made to enhance the counter-cyclical adjustment of macro policy to keep economic growth within a reasonable range, Ning said. While facilitating the development of the services industry to upgrade consumption, China will encourage innovation and investment in the construction of new infrastructures, including big data and artificial intelligence. More measures will be unveiled to prevent financial risks, reduce poverty and promote green development, according to Ning. Besides, the country will also deepen the supply-side structural reform to create new development dynamics and accelerate industrial upgrading, push forward coordinated regional development and advance all-round opening-up, Ning added.